Published June 25, 2015 at 1600 × 900 in McCallSmith_7. 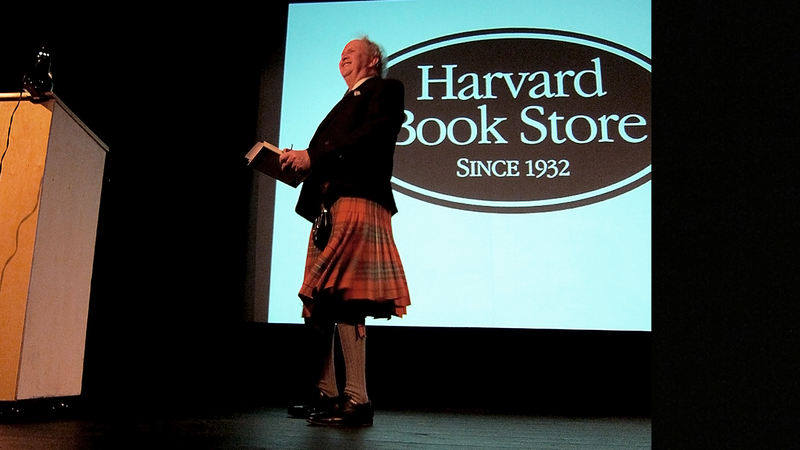 Not every man can pull off a kilt, but McCall Smith, who lives in Edinburgh, Scotland, did so with panache. To a packed house, he read from “The Limpopo Academy of Private Detection”, the 13th book in the No. 1 Ladies’ Detective Agency series.